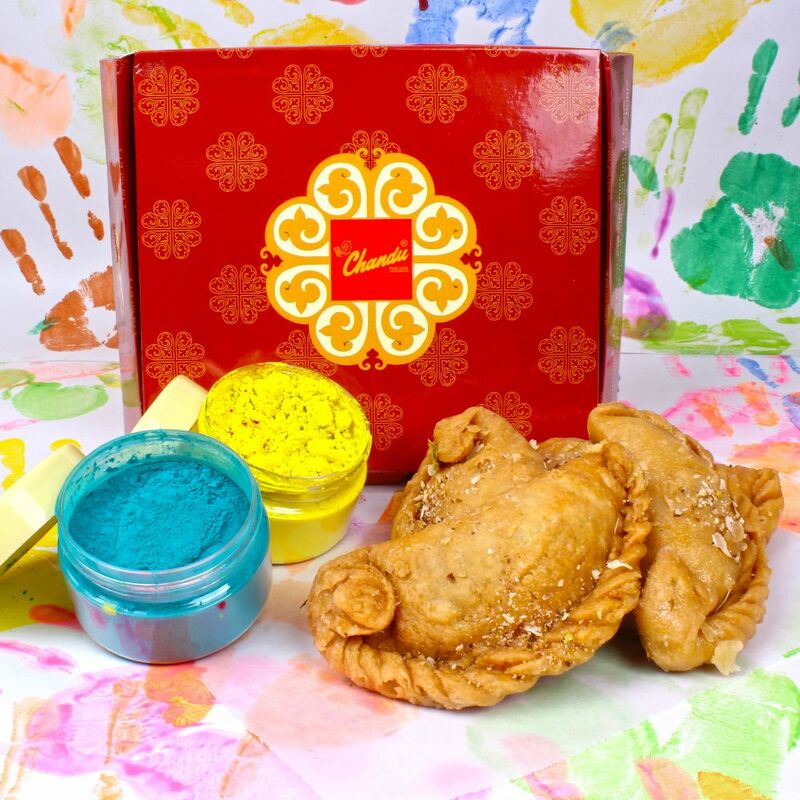 Product Consists : Delightful Gujiya (Weight: 500 gms) along with Two Containers of Non toxic herbal scented holi colors (Weight : 50 Gms). Holi is celebrated all around the world, but most in parts of India. Appealing, elegant and unique for a festival gift purpose, this Delicious Gujia for Holi is a perfect gift for your friends and family relatives as well so indirectly it is a traditional symbol hamper of happiness. This sweet lends a touch of magnificence to any occasion. Gujia is a traditional Indian sweet must considered for the festival of Holi and other auspicious occassions. Gift your loved ones this gift through us. 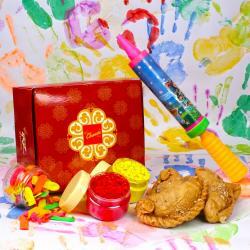 Send them popular Holi sweets delivery online at the comfort of your home and rejoice at the occasion. 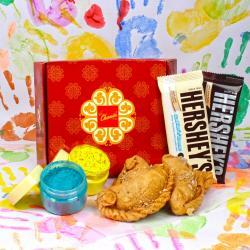 We have even come up with many holi gift hampers too. We send Herbal Gulal which is made from natural ingredients that does not harm our skin. The Gulal consists of colors as well as glitters which add up to the colorful celebration. Shower your love to your loved ones with colors of happiness and joy as you surprise her or him with this gift hamper on Holi. An ideal way to make their Holi fun-filled and memorable. This combo is presented as gift to any one like to your Wife or Husband and many more who is far from you. 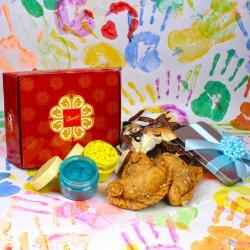 Giftacrosssindia bring to you a mind-blowing collection of Holi Gifts that give you so many gift options. Check out our Gift shop that will help you to choose the best gift for your loved ones. Browse your favorite products, it is very conveniently available for online shopping from anywhere in India with Free Shipping. 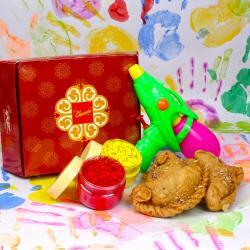 Product Includes : Delightful Gujiya (Weight: 500 gms) along with Two Containers of Non toxic herbal scented holi colors (Weight : 50 Gms).